Emmanuel Church host a variety of concerts during the year. Click here to view or download a copy of the recital programme for 2018-19. The next Lunchtime Organ Recital is on Friday May 3rd by Anthony Pinel. 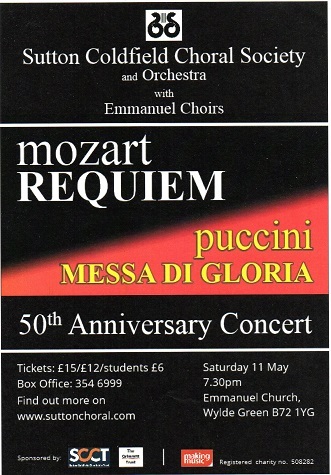 Sutton Coldfield Choral Society also perform concerts in Emmanuel Church. Richard Mason is now also Conductor of Sutton Coldfield Chamber Choir.